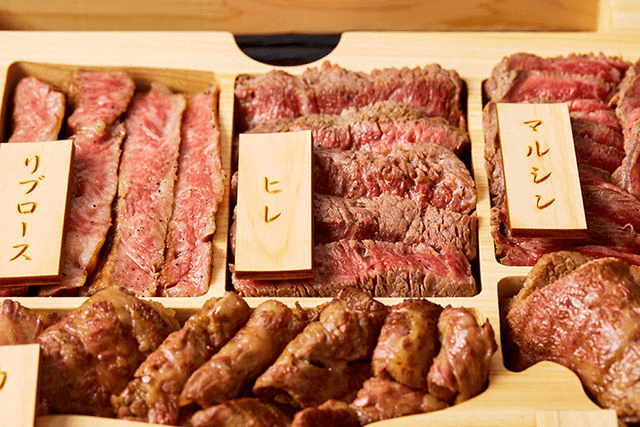 However, the size of it is not meant for one person, it is meant for sharing. 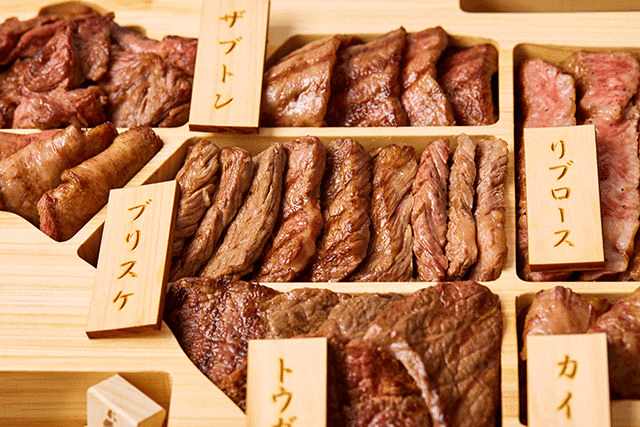 The gigantic 60-centimeter (23.6-inch) box is made out of wood and the meet inside weighs roughly four kilograms (8.8 pounds). 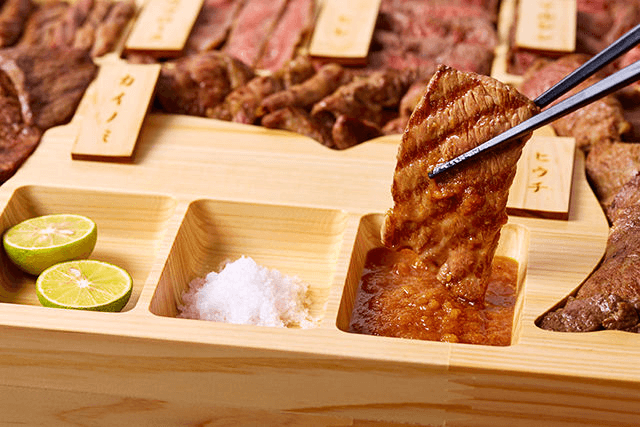 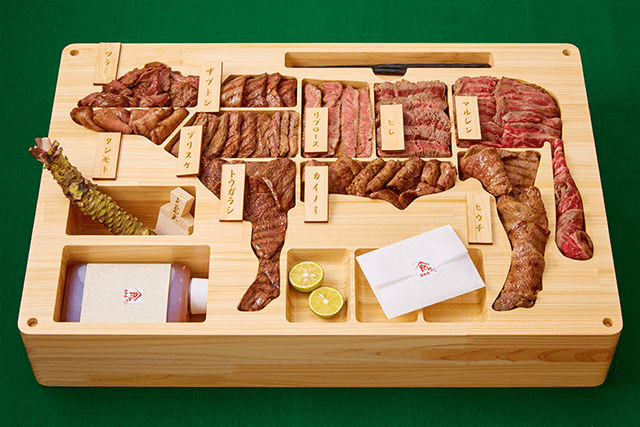 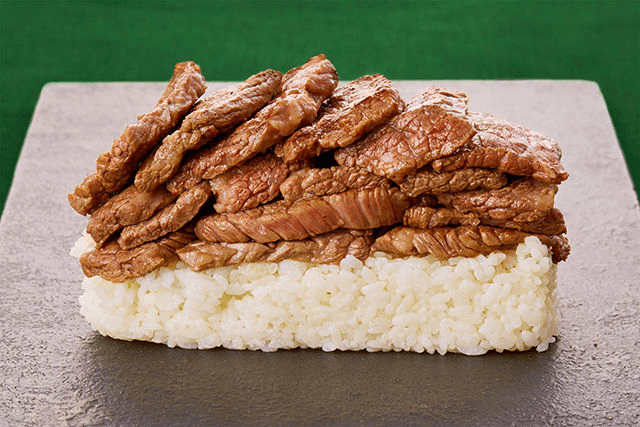 It can include a dipping sauce flavored with Tottori-grown pears and wasabi raised in the prefecture and meat part consists prime rib, tenderloin, sirloin tip, brisket, and the chuck tender. 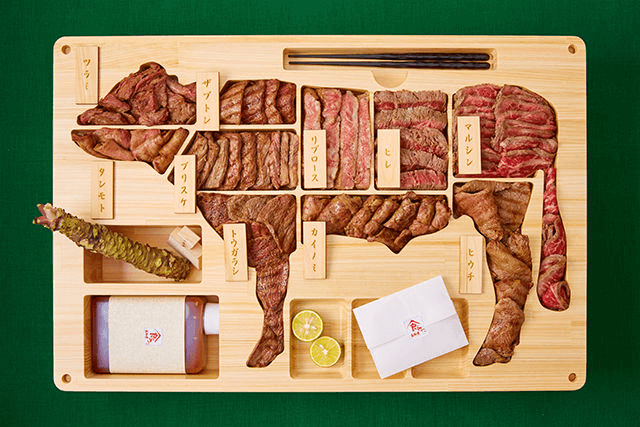 You’ll also get a few cuts that probably seem pretty exotic, such as the tongue and temple.